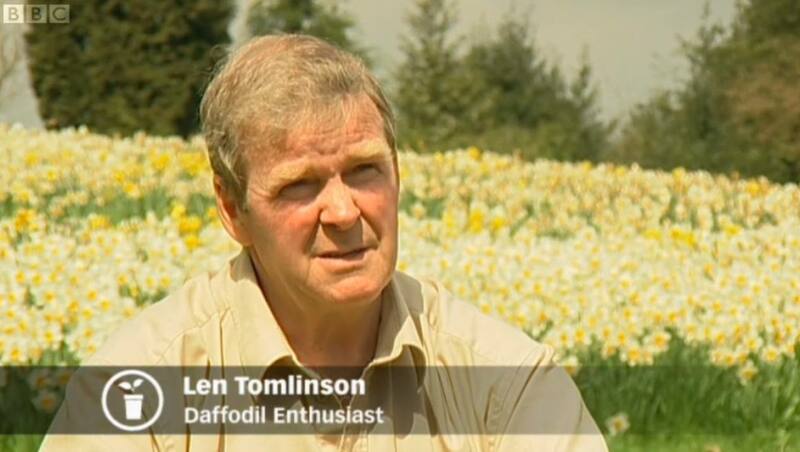 On the TV again, with a section recorded for Gardeners’ World a while back, while the daffodils were in full show. You can catch up with it for about another 30 days online. The Whitegate bit is from about 6 minutes in, but do also watch the next section which is about how the chemical Galanthamine which occurs naturally in daffodils is now being farmed, in order to research into treating Alzheimer’s. This entry was posted in Daffodils, General and tagged daffodils, galanthamine, gardeners, television, whitegate. Bookmark the permalink.